Homeowners frequently adopt smart-home devices after receiving them as gifts, and an overwhelming majority say that it enhances their sense of well-being. 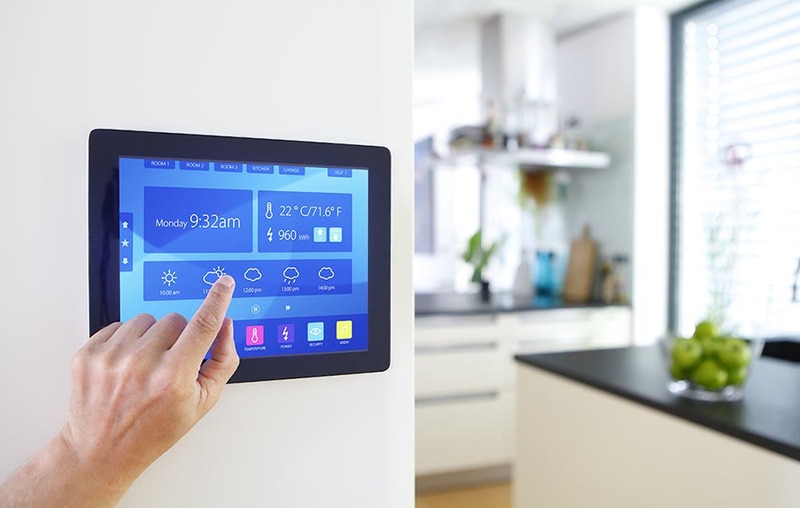 Those are two key findings from a new survey by Scripps Networks Interactive, in which 93 percent of respondents reported that peace of mind is the most important reason to add smart technologies to their homes. A near equal number of Americans — 85 percent — use smart devices for fun, and more than three-quarters said that such technologies improve their parenting skills. When it comes to adopting smart devices, consumers look to friends for advice. Respondents to the poll said that receiving tech-related gifts feels like a personal recommendation from a friend, which was cited as the top reason for adding smart gadgets to a home. Pacific Union real estate professionals have been helping their clients adopt smart-home technologies for the past year. In January 2017, our brokerage formed an exclusive partnership with smart-home pioneer Nest Labs that enables our professionals to distribute the company’s thermostats, smoke detectors, and security systems to their clients as gifts. Homebuyers hoping to get in the real estate game in 2018 would do well to keep a few key points in mind to help bring their dreams to fruition. According to a Freddie Mac blog post, the first step toward homeownership is understanding what you can afford, factoring in such considerations as the down payment and closing costs. To amass a down payment, consider working with your lender on a savings plan once you have been preapproved for a mortgage. Understanding mortgage rates is also key to a successful home purchase, as well as which type of mortgage best suits your situation. Mortgage rates remain low by historical standards as 2018 begins, with 30-year, fixed-rate mortgages averaging 3.95 percent for the week ended Jan. 4. Bay Area residents who are considering shopping for a home in 2018 but are still on the fence may find some motivation in the fact that rents are once again on the rise. Zumper’s latest national monthly rent report says that San Francisco remains the nation’s most expensive rental market in the inaugural month of 2018, with the median monthly rent for a one-bedroom unit at $3,400. Rents in San Francisco inched up by 0.3 percent from December and 1.5 percent from January of last year. Increases were more dramatic in San Jose, the nation’s third priciest rental market, where the median $2,460 one-bedroom apartment is up by 2.5 percent month over month and 13.4 percent year over year. With a median rent of $2,160, Oakland ranks No. 7 on America’s rental-expense scale, with prices also increasing on both a monthly and yearly basis. The U.S. economy begins 2018 poised for its best year since the Great Recession, while a projected uptick in construction activity could help ease the nation’s inventory woes. That’s according to a HousingWire.com article, which quotes several prominent economists on the state of America’s housing market. National Association of Federally-Insured Credit Unions’ Chief Economist Curt Long told the publication that while December’s job gains failed to meet expectations, the labor market performed well in 2017, noting that wage growth rose modestly. Another expert pointed to the fact that the construction sector added 30,000 jobs in December as a reason to begin 2018 optimistic about the housing market. Previous PostPrevious What to Do When an Earthquake Strikes? Drop, Cover, and Hold On.